N. wrote: I am engaged to my partner and we have been together a few years. We have recently bought a house and I have moved city, leaving my previous job, family and friends behind. The relationship has been good at times but I encounter doubts about its longevity on and off. My partner can get angry at times and has difficulty handling stress. He is often most relaxed when he has had an alcoholic drink. Also, he is socially awkward and when we are in company he can say and do inappropriate things. For example, making comments out of context of the conversation, and quite outlandish. I find this embarrassing and quite immature, and often wonder whether I can continue to handle this behavior. It isn’t malicious, it is more his personality and development. This affects me to the extent that I would avoid him being around my family and friends as I fear feeling very embarrassed. Regarding the anger and stress, I often have to be careful about my responses as I don’t want to increase his behavior. He is generally kind, caring and generous so it is difficult to put it all in perspective. I also recognize that we all have our flaws and idiosyncrasies. From a Stoic angle how could I go about reconciling these issues and what should I consider? There are two levels of analysis of this sort of situation, I think. The highest level is whether it is worth for you to stay in the relationship. The second level, assuming the answer to the first question is positive, is how to handle your partner. Let’s begin from the top, then. So remind yourself of the good qualities in your partner, of why it is that you followed him and left so much behind. I find this to be striking on target in general. Seneca is both appreciating the crucial importance of friendship (and in your case, family), and yet is reminding us that even its loss (not necessarily through death, but also moving away) needs to be handled with equanimity, the way the Stoics seek to handle pretty much anything Fortuna does to them. While Epictetus there was likely referring to suicide (see this post), I don’t see why the basic advice shouldn’t be considered more broadly: so long as it is within your power to change things, it is also within your power to decide to stay and work on them. Let’s now focus more narrowly on your current situation, assuming your judgment about the big picture is that the smoke in the house isn’t sufficiently suffocating that you need to get out. Recently I have been running a series on Epictetus’ role ethics, based on a very good book by Brian Johnson, which I highly recommend. Take a look, and consider what your role(s) are in the situation you find yourself in. You have the role of a partner, which carries certain responsibilities toward your companion, including the one of being tolerant of his defects and helpful to him (again, within limits, should the relationship become intolerable or abusive, then see “open door” above). For instance, have you talked to him about his drinking, his anger, and the way he sometimes embarrasses you in front of your friends (more on the latter problem in a moment)? Has he sought counseling about the first two issues? As far as you are concerned, take a look at Seneca’s wonderful book, On Anger, about which I ran a three-part commentary on this blog. You could start with my overview, but I recommend actually reading the whole thing, it is both a philosophical analysis of anger and a very helpful how-to in anger management. Another one of your roles is that of a friend to whoever you have decided to admit into your inner circle. That role may conflict with that of a partner, if your companion does not behave appropriately when you are both in the company of others. Epictetus’ does discuss the issue of conflicting roles, but does not provide specific guidance, except in the case of conflict between our specific roles (both chosen and “assigned” by life) and the more fundamental role we all have as human beings. In the case of that sort of conflict, the more fundamental role always wins, overriding all our other commitments. But your case is one of conflict between roles that are at about the same level, and are both chosen by you (as opposed to trust upon you by events, like your role as a daughter to your parents, for instance). This may sound like a limitation of virtue ethics, and perhaps it is. But the fact is, life is too complicated and varied for there to be easy, universal solutions, to our problems. 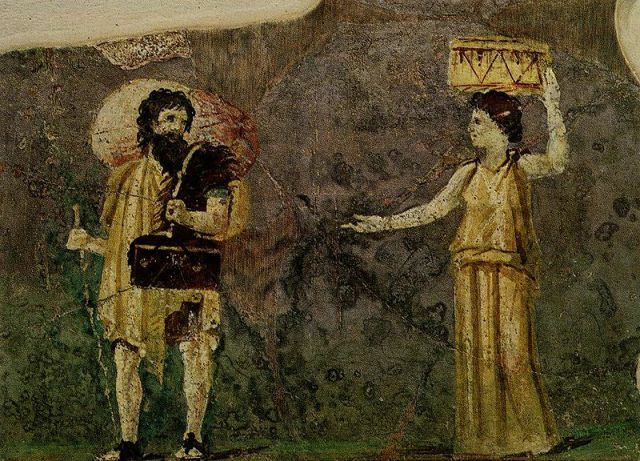 The Stoics would say that how to handle the conflict between being a good partner and a good friend provides you with an excellent opportunity to practice one of the four cardinal virtues, that of practical wisdom. And perhaps that of temperance as well, as you will need to exercise some self control. The point of the story being that shame is hardly appropriate for the philosopher (meaning the student of philosophy, including you), especially if it is triggered by someone else’s behavior. The only thing you ought to be ashamed of is if you do something unethical, to your partner, your friends, or anyone else. But your partner’s behavior is not unethical, simply socially awkward. And of course you have no control over either his behavior or your friends’ reactions. So my advice is simply to ignore both. I know, it’s not that easy, but nobody said that practicing Stoicism was going to be easy, right? This entry was posted in Stoic advice on July 14, 2017 by Massimo. To a real friend one can say whatever corresponds to what one genuinely is. This is both definition, principal advantage, and why real friendship is hard to make. “Always remember — the door is open.” I like this, always told the women I counseled something similar, but the problem is, every woman I’ve ever talked too on the subject took blame upon themselves, usually with some comment like “if only I loved him more”.